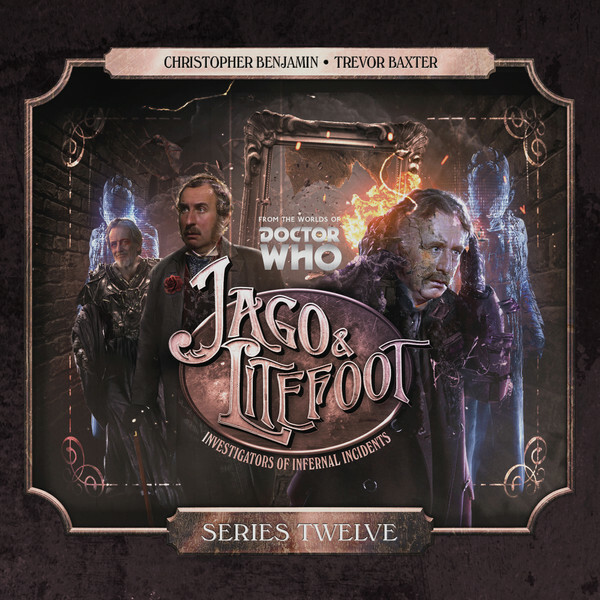 Big Finish: JAGO & LITEFOOT Series 12 Review | Warped Factor - Words in the Key of Geek. Tony takes on a veritable volume of vicious Victorian vampiric villainy. If you were looking for a sub-title for this twelfth box set of Jago & Litefoot stories, it would probably have to be ‘Jago & Litefoot and Buffy.’ Vampires, vengeance, ancient bloodlords skulking under cities and planning to release their equally decrepit fellows from their subterranean slumbers by means of a blood harvest, it’s all here. Oh, also schoolgirls, disappearing teachers, and, apropos of nothing, a couple of other ‘creepy things of the week’ that have nothing to do with the main vampire plot, but do end up proving crucial to its unmasking. Oh, and ‘good’ vampires. And ‘good’ vampires who turn bad again. See? Jago & Litefoot and Buffy. It’s tricky to write this review without revealing one faaaaairly central fact, which is the spine of the box set. It doesn’t really need our usual spoiler-bomb, but if you don’t want to know it, look away now. Ellie Higson, played for twelve series now by Lisa ‘Is there nothing she can’t do?’ Bowerman, was made a vampire in a much earlier box-set, and was painstakingly rehabilitated by Litefoot, to the point where now, her vampirism is only really brought up when it’s useful, and she’s certainly eschewed her blood-drinking ways, with the odd by-product that we know from Series 5 that she doesn’t actually age or die any time soon. with his henchman Ravener (played by Ronan Vibert, an actor clearly born to play crisp, precise unconscionable bastards). Episode 2 is a rather more self-contained villain-of-the-week piece from Paul Morris and Simon Barnard – but that shouldn’t fool you into thinking it’s less chilling than The Scarlet Gallery. If anything it’s moreso, because the Flickermen, the titular villains of the piece, are disturbing for the same reasons as the Weeping Angels are – they’re there and not-there, practically simultaneously, and if they touch you, you’re in deadly trouble. Add the new technology of the cinematograph (or ‘theatrograph’ as it’s called here, and you have an intriguing set-up, seemingly similar to Torchwood’s From Out Of The Rain – creatures from somewhere else entirely, that perhaps live in film, and perhaps don’t, the very embodiment of a fear that something’s there and not-there in the flickering of lamplight, in shadows, in the dark. There’s a logical pathway for our intrepid investigators to get to the bottom of the Flickermen, teaming up with travelling fairground people to uncover why the Flickermen are preying on the locals. The solution, when it comes, is heartbreaking rather than jump-scary, again giving a Torchwoodian punch in the gut at what people are prepared to do when their own lives are ripped apart. Listen out for Jacqueline King in this one as Old Ma Hambley, the first of two roles to which she adds value in this box set. She gives us the second as ‘Miss Broodie’ – yes, really, complete with Scottish accent – the head of an exclusive girls school in Episode 3, the positively Hammeresque School of Blood from Paul Morris flying solo. As storylines go, it’s a little contrived, and stars Jago and Litefoot as Head of Sixth Form and Caretaker respectively at a school where, they’ve been anonymously tipped off, the Head Vampire is working undercover. As it happens, Ravener works at the school – which has an alarming disappearance rate among its staffmembers – but there’s more to it than simply Ravener up to larks among the girls. Nevertheless, several of the girls do have tell-tale wounds on their wrists, and one (hinting in that very Hammer way that there’s been some kind of gymslip love between a couple of the girls) on her neck. Jago and Litefoot are called on to do more than investigate when the explanation becomes clear, and Litefoot in particular mounts a heroic last-minute rescue of epically Gothic proportions. All of which makes the end of this episode more punchy, as Ellie Higson comes back into focus, her mission clearer than ever, driven by a deal with the Old One. Charlie Hayes is excellent here as schoolgirl Lucilla Fredericks, and listen out for audio Who companion Nicky Wardley as her protective friend Hannah Bennett. The final episode of this vampire-heavy series is a vampirefest familiar from Buffy The Vampire Slayer, Season 1. Justin Richards returns to give us the Old One, about to free his highest, most powerful acolytes from their endless sleep by, for some reason, feeding them Jago and Litefoot – you do sort of have to wonder whether any two schmucks who came along would have been just as useful, or whether he’s been waiting for Mr J and the Professor specifically – while Ellie Higson’s plans come to fruition in a scene which takes us right back to the very first episode of Series 1, The Bloodless Soldier. In fact, the events of that episode have been crucial all the way through the twelfth box set, and the climax to which events tend this time has a distinctly familiar feel on two levels – we’ve been here before, but sometimes, a wound that’s opened by one experience can be closed by another iteration of that experience, along with the honesty of friends. Jago & Litefoot, Series 12 balances for most of its run-time on a knife-edge – there’s a danger, twelve sets in, of everything feeling a little too comic and comfortable, and Jago & Litefoot flirt with that here in their relationships. 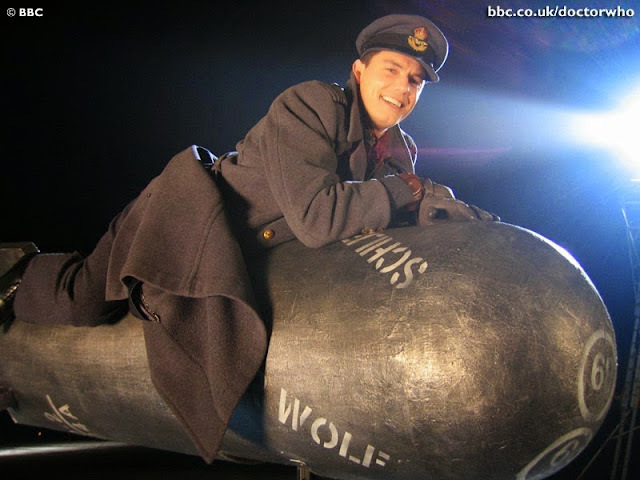 But what keeps the series relevant, even as it goes over some old ground, is the fresh life and horror that the writers – and Lisa ‘Yes, she does that too’ Bowerman’s direction, inject into some established tropes and some new ideas, to make Jago & Litefoot 12 feel like it’s a notable addition both to the ongoing series, and to Victorian Gothic fiction as a whole. Pick it up and give Victorian London’s finest another four hours of your life today. You’ll be the richer for it.